A water feature can become the centerpiece of your beautiful landscape. 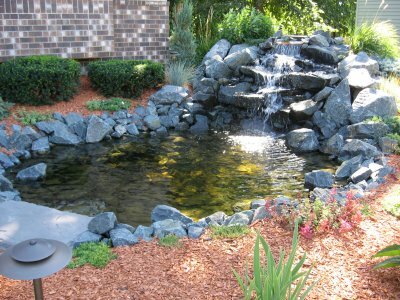 Add a waterfall and small pond to create a relaxing environment with the natural sound of flowing water. A bubbling or self filling bird bath boulder is a low maintenance, budget friendly option for smaller areas.